Vatican City (AsiaNews) - Pope Francis asks Catholics around the world to pray to Our Lady and the Archangel Michael to protect the Church from the devil, "which always aims to divide us from God and among us". 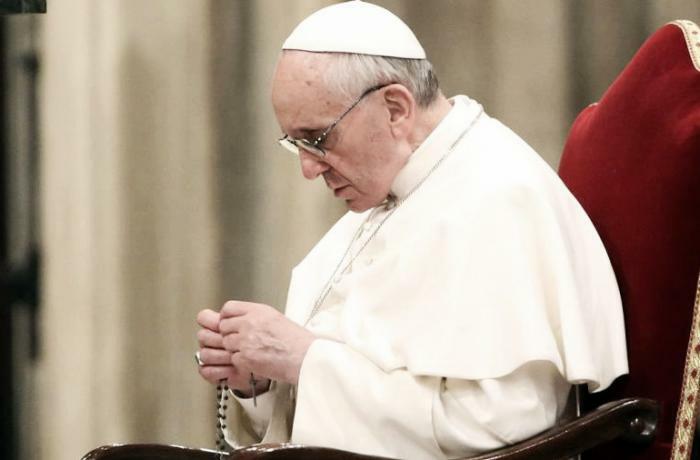 The decision of Francis, announced today, is to ask all the faithful a daily recitation of the Rosary during the entire month of October, "and to unite in communion and penance". The Pope's appeal also contains an invitation to conclude the recitation of the Rosary with the ancient invocation "Sub Tuum Praesidium", and with the prayer to Saint Michael the Archangel who protects and helps us in the fight against evil (see Revelation 12, 7-12). In this regard, the Vatican statement recalls that "the Russian mystics and the great saints of all traditions advised, in moments of spiritual turbulence, to protect themselves under the mantle of the Holy Mother of God by pronouncing the invocation "Sub Tuum Praesidium". The invocation "Sub Tuum Praesidium" reads as follows: "Sub tuum praesidium confugimus Sancta Dei Genitrix. Nostras deprecationes ne despicias in necessitatibus, sed a periculis cunctis libera nos semper, Virgo Gloriosa et Benedicta ". [We fly to Thy protection, O Holy Mother of God; Do not despise our petitions in our necessities, but deliver us always from all dangers, O Glorious and Blessed Virgin. Amen]. "With this intercession request the Holy Father asks the faithful of the whole world to pray for the Holy Mother of God, place the Church under her protective mantle: to preserve her from the attacks of the evil one, the great accuser, and make it at the same time more and more aware of the faults, the mistakes, the abuses committed in the present and in the past and committed to fight without any hesitation so that evil does not prevail ". 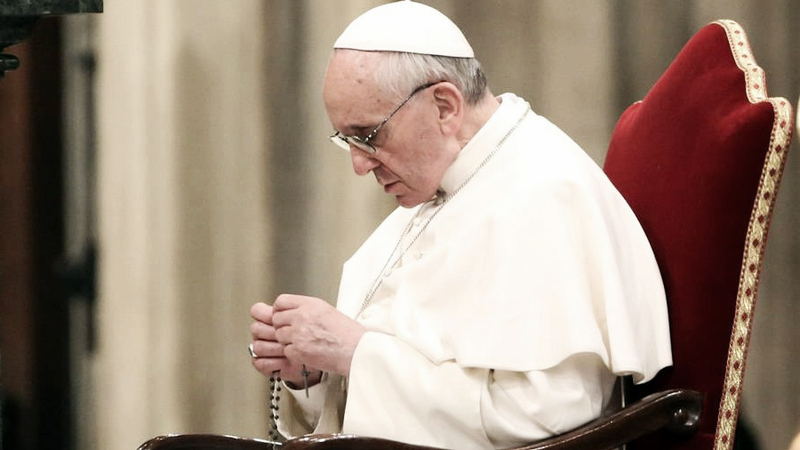 "The Holy Father also asked that the recital of the Holy Rosary during the month of October be concluded with the prayer written by Leo XIII:" Sancte Michael Archangele, defende nos in proelio; contra nequitiam et insidias diaboli esto praesidium. Imperet illi Deus, supplices deprecamur: tuque, Princeps militiae caelestis, Satanam aliosque spiritus malignos, here ad perditionem animarum pervagantur in mundo, divine virtutes, in infernum detrude. Amen". [Saint Michael the Archangel, defend us in battle. Be our protection against the wickedness and snares of the devil. May God rebuke him, we humbly pray; and do Thou, O Prince of the Heavenly Host – by the Divine Power of God – cast into hell, satan and all the evil spirits, who roam throughout the world seeking the ruin of souls.Amen].